Naples gallery announces charitable partnership with African Parks organization for exhibition featuring Zimbabwean artist Godfrey Zonde. Native Visions Gallery will host The Spirit Of The Stone Comes Alive exhibition featuring pieces from Zimbabwean artist Godfrey Zonde from February 28th through March 17th, 2019. Located at 737 5th Avenue South, Native Visions Gallery is hosting this exhibition highlighting Godfrey Zonde’s original pieces in an effort to both promote the talented artist and bring awareness to the charitable organization African Parks. Native Visions will donate 5% of sales to African Parks during opening night, held on Thursday, February 28th. 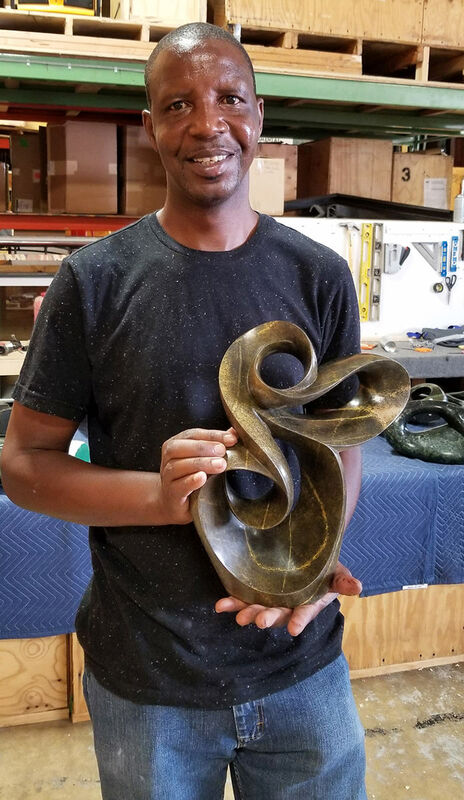 Godfrey Zonde himself will be in the gallery on opening night from 6-9pm meeting with collectors, explaining his techniques and materials, and answering questions about his work. Native Visions Gallery is partnering with African Parks for this exhibition to help support their mission of rehabilitating and managing African National Parks in partnership with governments and local communities. The organization’s efforts include saving wildlife, protecting parks, developing the communities, encouraging tourism, and enhancing African infrastructure. Since its beginning in 2000, African Parks has established the largest counter-poaching force for a conservation organization in Africa, successfully managed 15 national parks and protected areas, and placed thousands of wild animals back into their rightful habitats. “It is our belief that when patrons come into the gallery and speak with an artist, they make a special connection and feel more passionate about the pieces they’re purchasing. We are so proud to have Godfrey join us on the opening night of this exhibition to connect with his loyal and growing consumer base,” says Kelsey McShane, Fine Art Consultant of Native Visions Gallery. 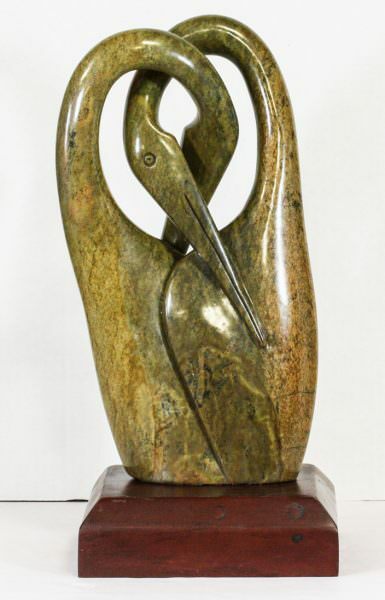 Zimbabwean Master Sculptor Godfrey Zonde is adept in both realism and abstract works and is a specialist in working with many stones including springstone, serpentine, fan stone and more. Coupled with his personal attendance at various shows and his vibrant character, his list of collectors is growing rapidly. 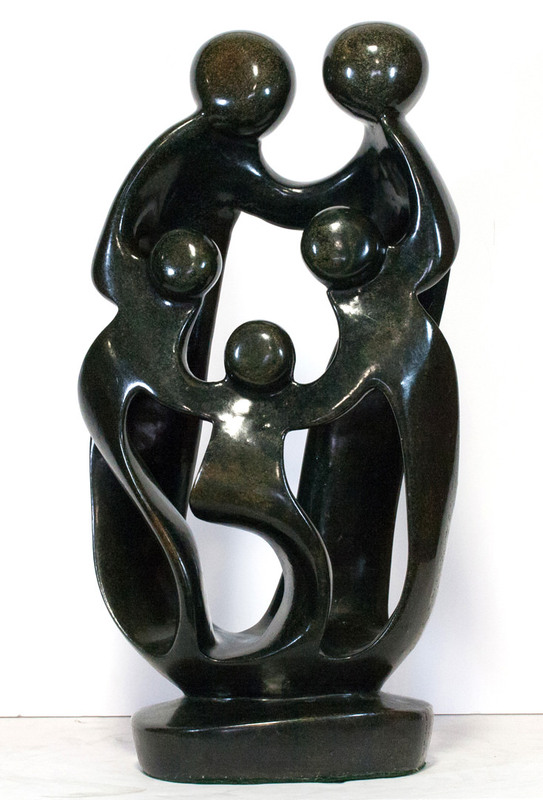 Native Visions Gallery will be displaying Zonde’s pieces quite prominently during the exhibition. The Executive Director of the 5th Avenue South Business Improvement District shares a similar sentiment about the excitement of the art exhibition. “We are very excited for Godfrey Zonde to visit the gallery and showcase his incredible pieces. As a world-renowned artist with a loyal following, Godfrey is sure to bring a crowd to the gallery on February 28th. 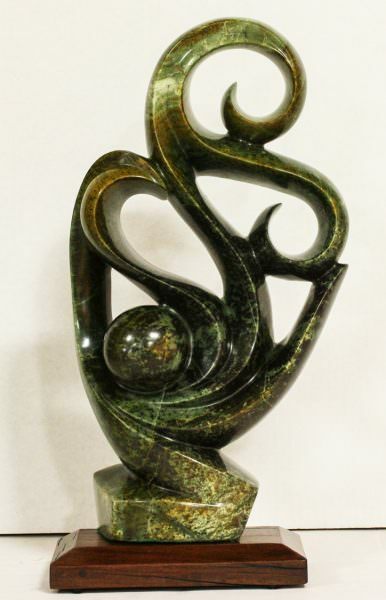 Native Visions’ art exhibition epitomizes the individuality and appeal of 5th Avenue South as a total destination,” adds Bruce Barone, Jr.
To learn more about Native Visions Gallery, Godfrey Zonde, and The Spirit Of The Stone Comes Alive exhibition, visit https://www.nativevisions.com. The 5th Avenue South Business Improvement District (BID) was established in 2010 to promote 5th Avenue South through avenue enhancement, marketing, events and business and property services. Its mission is to brand, promote and create awareness of the 5th Avenue South Business Improvement District to residents and visitors as the destination of choice to live, work, shop, dine and play. Managed by a board of directors representative of district boundaries, the BID represents the interests of both property owners and businesses in growing and sustaining a healthy, vibrant 5th Avenue South district. The BID is located at 649 5th Avenue S and can be reached at (239) 692-8436. For more information, visit https://www.fifthavenuesouth.com.